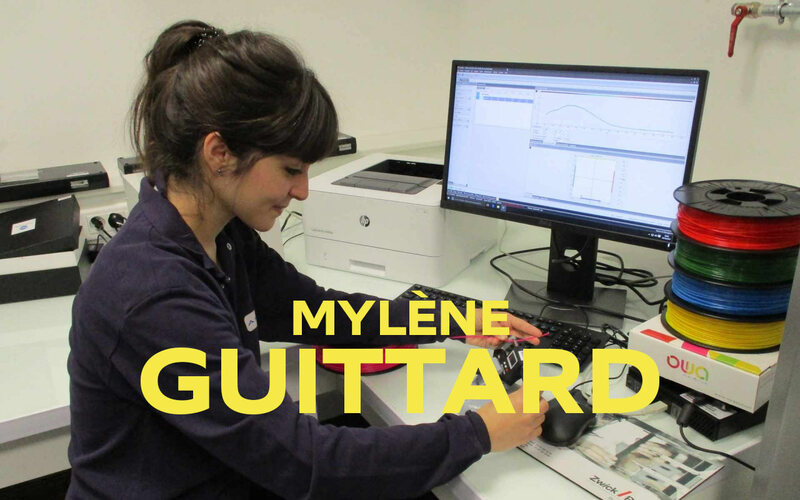 A few days ago the Armor 3D team welcomed a new Formulations & Materials Engineer, Mylène Guittard. She tells us about her experience and her responsibilities within the company! I have always liked to find out about and understand the things around me, so it was quite natural for me to choose a career in science. I am a recent chemistry graduate. During my course I had a number of experiences in the fields of polymers and formulation: this is what prompted me to come and work for Armor 3D. Apart from that I like to spend time with family and friends, and I also like dancing, supporting my favourite sports teams, travelling and eating good food. I like the good things in life! 2 – What are your main responsibilities at Armor 3D? I am a Formulations & Materials Engineer. Based on the specifications and in line with the customer’s requirements, my job is to develop 3D filament formulas (selection of materials, additives and pigments). Making the most of my technical expertise in a technology as innovative and fascinating as 3D is a real source of motivation for me. The endless possibilities! It’s a technology that can be highly accessible and very complex all at the same time. You find it in your living room and use it during your hobbies as well as finding it in cutting edge industries offering solutions to previously unsolved problems. 3D printing is a technology with great potential. It is already being talked about as a possible means of mass production and as basic DIY equipment in the home, and it is even said that 3D printing will be blasting off into space! So it will be interesting to closely follow the progress of 3D.